There was an old Calvin & Hobbes comic where Calvin's quest to dress up in the most terrifying costume possible eventually leads him to wearing a barrel of nuclear waste. 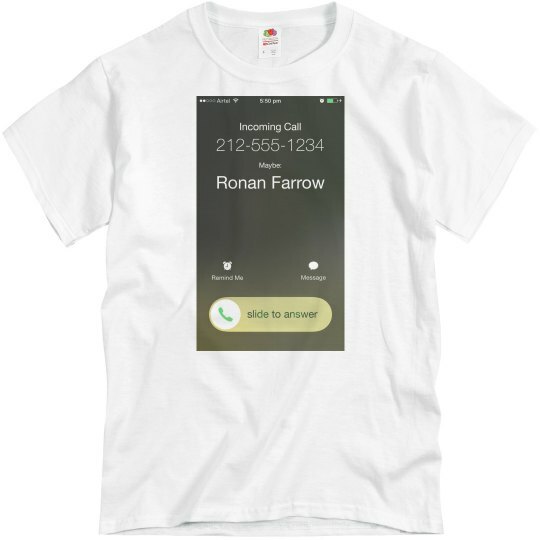 Maybe that was true in the 1990s but today, for any male in a position of privilege, the scariest thing might be looking at your phone, seeing an incoming call, and noticing that the system thinks it is from Ronan Farrow. The scariest sight imaginable if you've done lots of terrible things in your life. So for Halloween this year, consider terrifying your middle-aged friends with a truly nightmarish site: Ronan Farrow hot on the trail of their dastardly deeds. They almost certaily deserve it.